Camp runs from 8:30 am – 4:30 pm. Get deep into the dirt and scientific discipline of archaeology. Learn what it takes to be an archaeologist from the tools of the trade to techniques for excavating. We’ll take you on an archaeologist’s journey around the world to learn about Greek and Roman sites, and ancient Mayan, Egyptian, and Ontario archaeology. 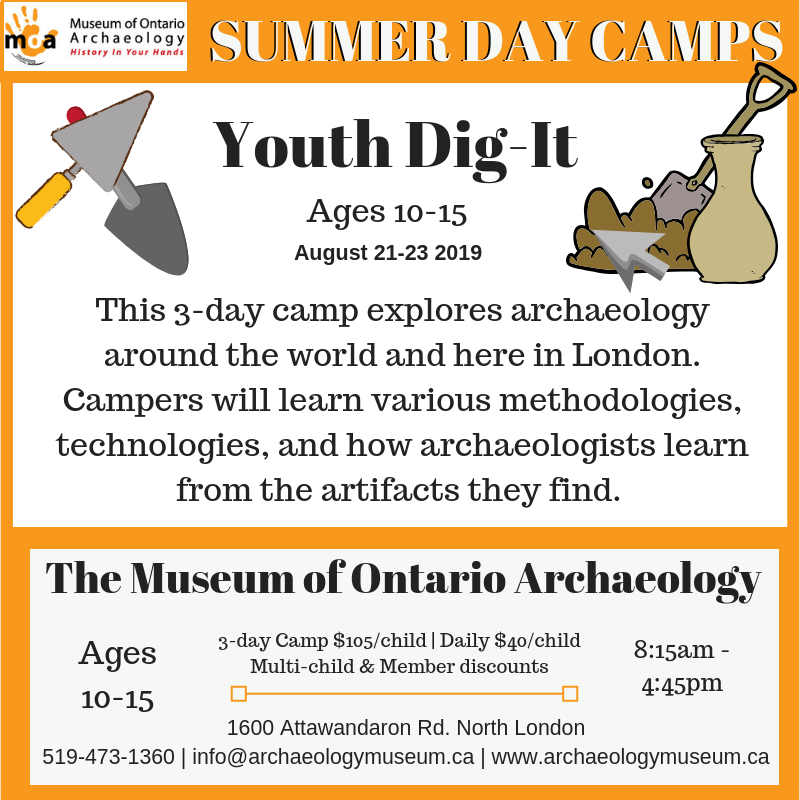 This three-dayy camp is a fun, hands-on introduction to archaeology, anthropology, artifacts, collections and more.